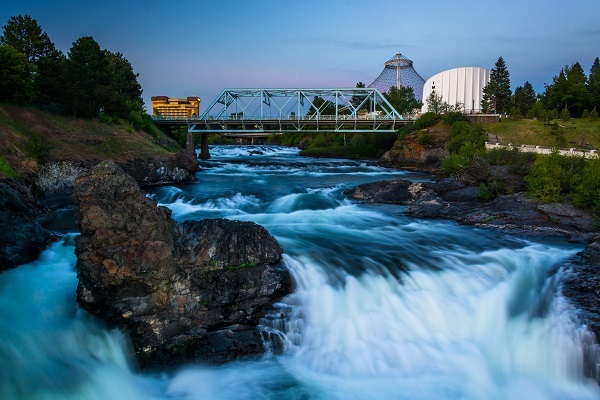 The Spokane River runs through downtown Spokane. Researchers, faculty, administrators, and students from nursing colleges and schools across the U.S. are gathering in Spokane this week for the annual Western Institute of Nursing research conference. This is the first time the prestigious WIN Conference is being held in Spokane in its more than 50-year history. About 800 people are expected to attend the conference that opens Wednesday, April 11. The theme of the conference is “Transforming Health through Advances in Nursing Research, Education, and Practice.” WIN includes workshops, research poster and podium presentations, panels and symposia. “Benefits and adverse effects of cannabis use among adults with persistent pain,” by Teresa Bigand. “Identifying postpartum depression in parents at routine well-child checks,” by Annie Bixler. “Conceptual frameworks for clinicians working with smart homes,” by Roschelle Fritz. “Self-foot care practices among Type II diabetes patients with diabetic foot ulcers,” by David Oni.